September usually indicates the end of summer and start of fall weather. However, it looks like this hot summer weather might follow us well into September this year! Be sure to take advantage of the nice weather as it won't be here for long. With school starting again, walking or biking to school is a great way to keep you and your kids active. Go out for a run, bike ride, or even just a casual stroll this month. Or if you don't have time for outdoor activities after work, then do it during work! Try walking or biking to work instead of driving one day. Studies show that exercising before work will act as a better stimulant than a cup of coffee! Multiple studies have also shown that people who exercise on workdays are happier, suffer less stress, are more productive than their sedentary counterparts, and have improved overall job performance (including improved ability to concentrate and make complex decisions). There's no downside to some exercise! So get out and reap the benefits of being active this month! In fact, to provide you with some incentive, we'll give you 15% OFF your purchase if you walk or bike to our shoppe this month! (SEE BELOW FOR DETAILS). What an amazing year we've had at our Explorations Green Day Camp! Every week campers were able to gain a new and exciting experience with our counselors. We hope all our campers enjoyed their time at camp and can't wait to see them again next summer! We would especially like to thank our loving and dedicated counselors, who put in their time and effort with these great campers. 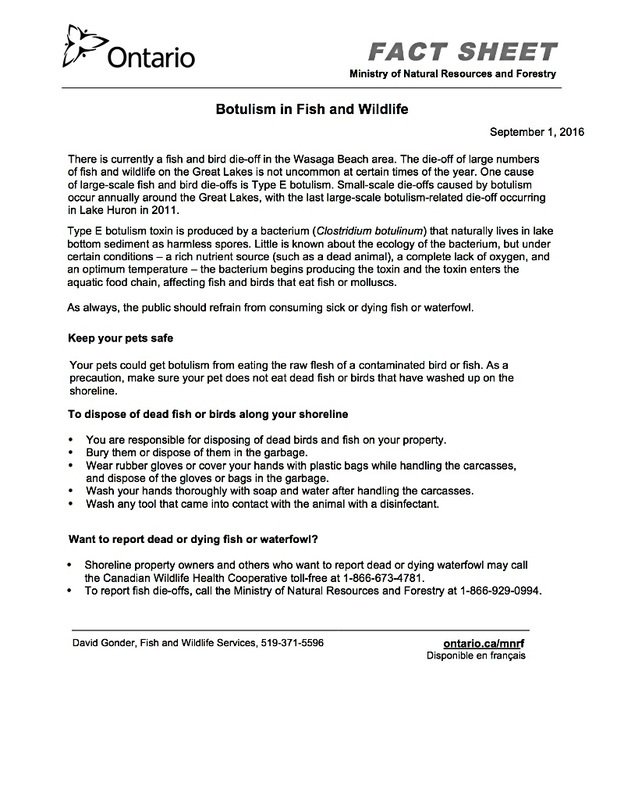 There is currently a fish and bird die-off in the Wasaga Beach area. This die-off is not uncommon during certain times of the year and causes seem to be related to Type E botulism. Please be sure to read the Ministry of Natural Resources and Forestry Fact Sheet below and stay safe.